Fasting for three days can regenerate the entire immune system, even in the elderly, scientists have found in a breakthrough described as remarkable. Although fasting diets have been criticised by nutritionists, research suggests that starving the body kick-starts stem cells into producing more white blood cells, which fight off infection. Scientists at the University of Southern California say the discovery could be particularly beneficial for those suffering from damaged immune systems, such as cancer patients on chemotherapy. It could also help the elderly whose immune systems become less effective. The researchers say that fasting “flips a regenerative switch” which prompts stem cells to create white blood cells, essentially restoring the immune system. “It gives the okay for stem cells to go ahead and begin proliferating and rebuild the entire system,” said Valter Longo, professor of gerontology and biological sciences at the university. “And the good news is that the body got rid of the parts of the system that might be damaged or old, the inefficient parts, during the fasting. Now, if you start with a system heavily damaged by chemotherapy or ageing, fasting cycles can generate, literally, a new immune system.” Prolonged fasting forces the body to use stores of glucose and fat but also breaks down a significant portion of white blood cells. During each cycle of fasting, this depletion induces changes that trigger stem cell-based regeneration of immune system cells. In trials, volunteers were asked to fast regularly for between two and four days over a six-month period. Scientists found that prolonged fasting also reduced the enzyme PKA, which is linked to ageing and a hormone which increases cancer risk and tumour growth. 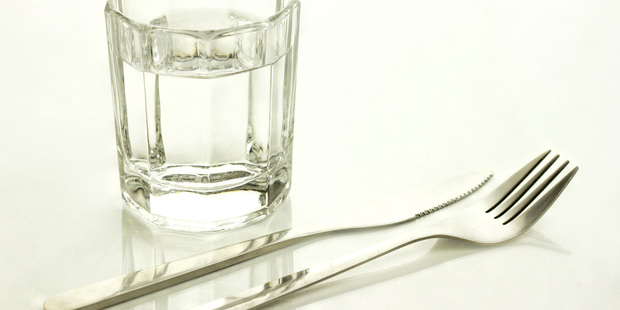 “The results of this study suggest that fasting may mitigate some of the harmful effects of chemotherapy,” said co-author Tanya Dorff, assistant professor of clinical medicine at the USC Norris Comprehensive Cancer Centre and Hospital.